Yesterday I noticed that someone sent out a tweet that said: “Seminary students: Love people not papers.” Now, in many ways, this advice is spot on. Seminary students often need to realize that there is more to ministry than Greek syntax or lengthy bibliographies. God calls us to engage with the flock personally, relationally, and intimately. As Paul himself noted about his ministry to the Thessalonians, “We were ready to share with you not only the gospel of God, but also our own selves” (1 Thessalonians 2:8). However, at the same time, to say that we should “love people and not papers” sets up a bit of a false dichotomy. It presents the issue as if one must choose between the two. Either I decide to engage with people and love them faithfully, OR I decide that I will excel in scholarship and study of the Word of God. Pick one. Either you become a person that does “real” ministry, or you become an egghead who only cares about academics. Of course, I have no doubt that the original tweet did not intend to set up this false dichotomy—it was probably just trying to remind seminary students that loving people is important. Fair enough. But, unfortunately, the way it was phrased feeds a polarization between ministry and study that is all too prominent among Christians today. Many churches, ministers, and laymen already see “study” as antithetical to real ministry. They don’t want a pastor who reads; they want a pastor who gives himself to his people. But here is the problem. While pastors should certainly give themselves to people (1 Thessalonians 2:8), that is not enough to fulfill one’s calling. God calls pastors not only to give themselves, but ultimately (and primarily), he calls them to give people the WORD. The pastors are a conduit for something greater and bigger than themselves: God’s own voice. Put simply, pastors are not the means of grace. 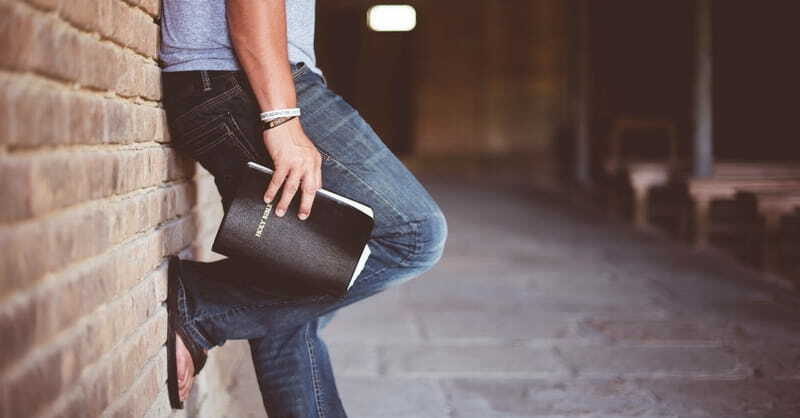 Unfortunately, many young pastors head into ministry with the perception that if they just give themselves to their congregations—if they are just personal and loving—then they will succeed in ministry. But they soon realize that they are not enough to satisfy the church. The church needs more than the pastor can give. And inevitably they burn out. What the church needs more than anything is to hear the voice of her Lord. The church needs the Scriptures carefully explained, exposited, and applied. That is the food that can satisfy. And that requires a pastor who is a serious student of the Word. It requires a pastor who (dare I say it) studies. So, instead of saying “Seminary Students: Love people not papers.” Perhaps we need to say: “Seminary Students: Love people AND papers.” We don’t need to pick one. God calls us to love him with our heart and our mind. Thus, we should call our future ministers to do both.